The new design is said to be even simpler and more user-friendly than the current design. Apple is working on ways to enhance the speed and efficiency of finding new content, such as songs, videos, and applications. 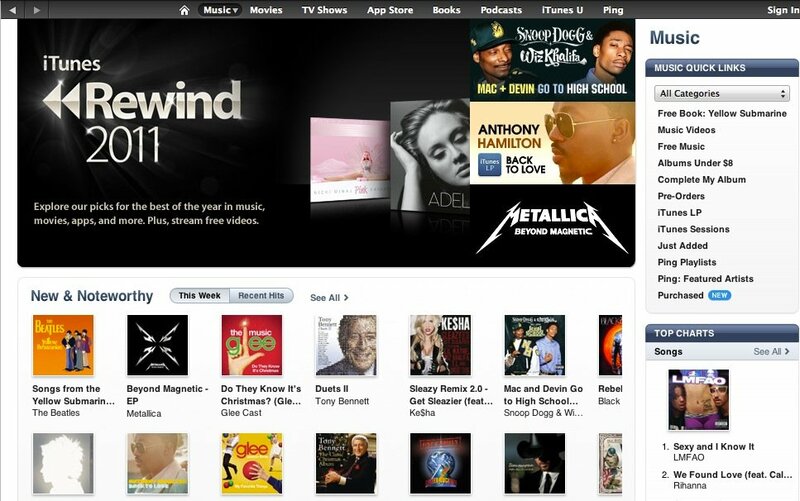 The cornerstone element of Apple’s new iTunes Store is interactivity. As Apple vaguely explained to a number of music labels and entertainment partners, Apple is looking to make the iTunes Store a much more engaging experience. [...] The interactivity that Apple wants within the digital store is something Apple could only likely pull off by housing the store within a full-fledged application, not a pure web browser experience. They're not sure if this redesign, like iTunes 9, will require a new version number -- like iTunes 11 -- or if it will just be rolled into an iTunes 10 point release. However, discoverability is said to be on the agenda, with more interactive ways to find music, movies, apps, and games being a priority. It sounds like iTunes on Windows and Mac is the current focus, and may be timed to coincide with Mac OS X 10.8 Mountain Lion this summer, though the more traditional fall update cycle -- perhaps alongside the iPhone 5 -- could be a more likely possibility.